New figures show individuals pay almost 20 times more in tax for breaching the Lifetime Allowance. HM Revenue & Customs has released new figures* showing that the tax collected from individuals breaching the Lifetime Allowance (the amount of savings which can be built up in a pension and receive tax relief) has rocketed by £97m since it was introduced in 2006, with the latest figures showing that £102m in tax was collected from individuals exceeding the allowance during 2016/17, compared with £5m in 2006/7 when the Lifetime Allowance (LTA) was introduced. WEALTH at work, a specialist provider of financial education and guidance in the workplace supported by regulated advice for individuals, believes that individuals who breach the LTA typically fall into one of the following three categories – and by highlighting this, it can help individuals identify if they are at risk. Who are these lucky people to have a pension pot valued at the current LTA limit of £1.03 million or more? It is quite possible that the value of someone’s pot is far higher than they realise and that they may have already breached the allowance. This could particularly affect those who never check the value of their pension, or haven’t done so for some time. Also, many individuals in defined benefit (DB) pension schemes are unaware that their pension is valued at twenty times their annual pension for LTA purposes and so an annual pension of £30,000 has a value of £600,000. If a member of a DB pension scheme decides to transfer their pension into a defined contribution scheme to take advantage of the pension freedoms, the transfer values offered can be much higher than the standard method of working out the LTA value. For example, transfer values can be as high as forty times the annual pension, so using the above example, an annual pension of £30,000 could have a transfer value of £1.2m and therefore exceed the LTA. This group of individuals believe that they are a long way from breaching the LTA, but in fact aren’t. This is particularly the case where individuals are making healthy contributions into their pension and perhaps receiving valuable matching contributions from their employer. Positive pension fund growth as well as a pay rise may easily push someone over the LTA before they know it. For example**, if someone aged 45 has a pension fund of £400,000 and a salary of £50,000, saves 5% of their salary into their pension which rises by 3% p.a and receives employer contributions of 10%, rising by 3% p.a., it is possible for their pension fund to reach £1,670,000 by the time they retire at 65. By this time the LTA is expected to be valued at £1,690,000, showing they are not that far from breaching the limit. This group of individuals could unknowingly breach the LTA because of the way in which auto-enrolment works. For example, employees who have taken protection measures and opted out of their workplace pension scheme to safeguard their savings from a LTA charge could still be at risk of a breach. This is because employers are required to re-enrol employees every three years and may do so without their knowledge. Responsible employers will inform employees whom they plan to re-enrol, so that they’re aware that pension contributions will be deducted from their monthly pay, but it is not a legal requirement for them to do so. Just one month’s contributions could invalidate a previously applied for protection, without someone even realising. Firstly, individuals who have already taken some of their pension should request a current valuation for their pension pot from their employer or pension scheme administrator and ask how much of their LTA they have used. If they have more than one pension, they will need to add up what they’ve accumulated across all pensions. Individuals are then in the best possible position to choose the most appropriate type of support that they need. Individuals should find out what support is available through their workplace. Some employers may offer cash in lieu of pension contributions for employees who are close to exceeding the LTA. They may also offer financial education or regulated advice to help individuals understand their specific situation. Individual Savings Accounts and workplace share schemes are two tax-efficient savings vehicles to consider investing in as an alternative, or supplementary to a pension. Individuals could chose to opt-out of their workplace pension scheme but will need to remember that they may be re-enrolled by their employer after three years. They should make a note of when this will be and speak to their employer to discuss their options before the three year period arrives. A decision to opt-out should not be taken lightly. Individuals should remember that the LTA is an allowance, it is not a limit, so it could well be in a member’s best interests to remain active in their pension scheme despite a potential tax charge. If opt-out for LTA purposes is being considered then it’s best to seek regulated advice from a suitably qualified adviser. A simple way to avoid exceeding the LTA, or incurring further charges, is to stop contributing into a pension and taking early retirement. “Reaching the LTA could be closer than many think. For example, individuals may have a number of pension schemes that when combined with their current pension provision, could exceed the allowance. 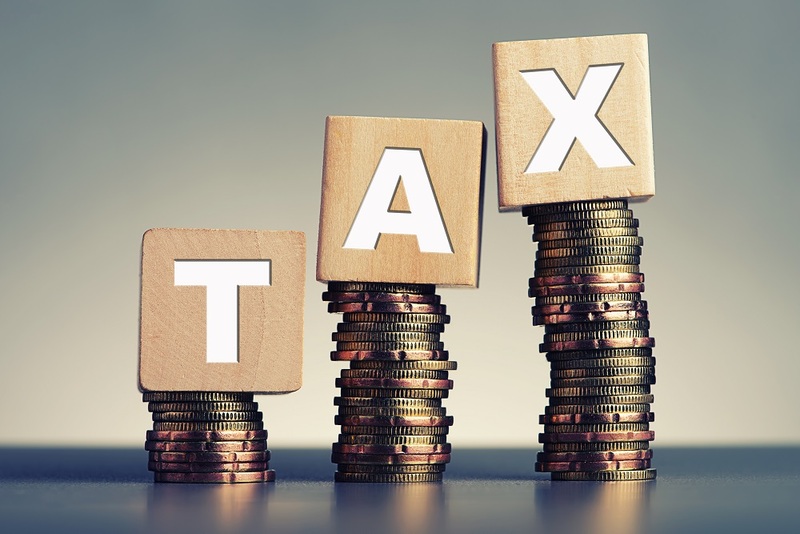 The tax implications could be drastic with many potentially being hit with an unexpected and sometimes unnecessary tax bill. **Assumes growth rate of 5% and inflation at 2.5%, and excludes charges on the pension plans. Links to websites external to those of Wealth at Work Limited (also referred to here as ‘we’, ‘us’, ‘our’ ‘ours’) will usually contain some content that is not written by us and over which we have no authority and which we do not endorse. Therefore please be aware that we do not accept responsibility for the content of any third party site(s) except content that is specifically attributed to us or our employees and where we are the authors of such content. Nor do we endorse any organisation or publication to which we link and make no representations about them. Please note that the content of this website including any external articles to which it links are not financial advice and must not be relied upon to make investment decisions. Further, please note that investments can fall as well as rise and that if investing you may get back less than you originally invested. Where we have been quoted in an article or we are the authors of an article held on a third party website we may provide a link to that site, even though it is a subscription only publication. Please note that by doing so we are not advertising the subscription nor are we suggesting that you should subscribe. We are merely providing a link for those people who already have a subscription should they wish to read the article. If you do not have a subscription then often only the first lines of an article may be available to read. You should not rely on that limited content to form a view of what the whole article may say or conclude. Often a headline or an excerpt of an article are not representative of the article in full. Reading a part only and/or out of context may be misleading and must not be relied upon.